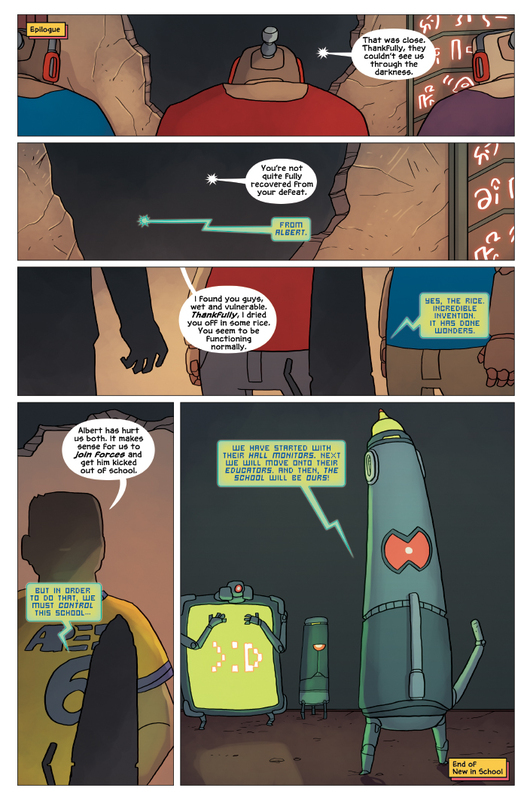 Happy Friday, and welcome to the final page of Albert the Alien is New in School! Looks like someone rescued the alien school supplies after the end of the first chapter – and are planning to team up with them against Albert! But who could this mysterious person or persons be? We’ll find out in the next story arc (starting next week), The Substitute Teacher from Planet X! There’s a lot more fun coming – and some big announcements about the Kickstarter to fund the graphic novel! Come back every Wednesday and Friday for more Albert the Alien (and bring your friends)!